So you’ve been working to make a budget using tools like Excel or Mint.com and have been diligently putting in all of your income and expenses. Yet every month, it’s the same result: you continue to overspend. While your efforts to create and maintain a budget are commendable, there is probably nothing that is actually holding you accountable to that budget. There is no reward if you succeed, nor repercussions if you don’t. So how can you make your budget actually work for you, and how can you hold yourself accountable to it? Try the envelope budgeting system. Before you start the envelope system, determine how much you have available after you pay your bills and put money aside for savings and investments. Once you know how much money you have left, decide how to divide it among the different budget categories in which your monthly spending varies. 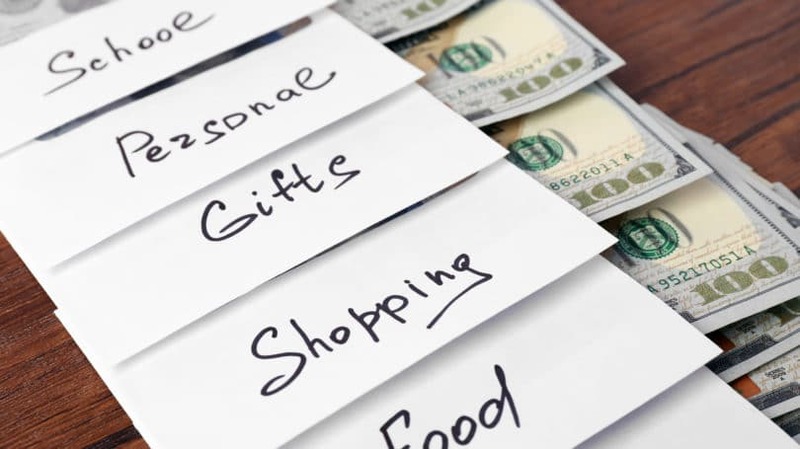 Some examples of common categories include: groceries, household items, entertainment or dining out, clothing, gifts, gas, and allowance (to be spent as fun money). Get an envelope for each category and write the category name on the front. Then, after each paycheck, put in the budgeted amount of cash. Once you run out of cash in an envelope, you have met your budget for that pay period and are unable to spend any more in that category until the next pay period. If you have any debt, use the money left over from your envelopes to pay it off. If you do not have any debt, put your extra cash into savings. It Works! The best part about the envelope budgeting system is that it simply works. If you are only paying for things using cash, and you run out of cash, you cannot possibly overspend. The envelope system has been around for a long time for good reason. It Will Help Discipline You. We all need discipline in our lives to make us better people, whether it is with our spending habits, our eating habits, or our productivity at work. The more you practice being disciplined, the easier it is to take responsibility for other life areas you want to improve. It Can Be Used as an Emergency Fund. Instead of carrying cash, many people carry plastic, which can be a problem if an emergency arises. Though the money in the envelope system is not intended for emergencies, you can always use it for one – like if your car breaks down in the middle of nowhere and you need to pay for a tow or a ride back home. Your Budget Becomes Tangible. The concept of money is much more tangible if you use cash instead of plastic. Credit cards can easily cause you to overspend. When using envelope cash, you will be more in tune with your budget because you’ll be reminded of it every time you reach for an envelope to spend from. No Overdraft Charges. Have you ever been charged an overdraft fee from your bank? If you put away your debit card and use cash instead, you are much less likely to overdraft and get charged the absurd fee. Less Wasteful Spending. When I used an Excel spreadsheet to create my budget, I would look back at the end of the month and be surprised to see what I wasted my money on. However, when you use the envelope budgeting system, you are more likely to think through every purchase. You’re less likely to spend wastefully when you see the money disappearing before your very eyes. In fact, people spend 10% to 15% less when using cash. You Won’t Miss a Payment. When using the envelope budgeting system, you pay upfront and there is nothing you need to keep track of. On the other hand, if you use an electronic program to do your budget, it is easy to miss entering in purchases. I believe the budget I kept electronically was off by hundreds of dollars each month due to the fact that I lost receipts on a regular basis. It’s Tough to Get the Whole Family on Board. Some people are adamantly against using cash. They like the simplicity and ease of using plastic, and who can blame them? However, for the envelope budgeting system to be successful, the whole family needs to be fully committed to making it work. Otherwise, it won’t. You Must Go to the Bank or ATM to Withdraw Cash. I really try to avoid going to the bank or the ATM. It is just another errand I have to run in my already busy life as a stay at home mom. But if you use the envelope budgeting system, you’ll obviously have to get cash from somewhere to stuff your envelopes. Getting Started Can Be Confusing. I know that the process I described sounds pretty straight forward, but you will eventually come across situations that can be confusing. For example, if you make a purchase at Target and buy $20 worth of groceries, $20 worth of clothing, and $20 worth of house decor, where do you get the cash from? You will probably need to get it from three different envelopes. You’ll experience a learning curve as you figure out how to stick to your categories. You Won’t Get Credit Card Rewards. Before I used the envelope budgeting system, I would rack in enough points to earn $250 a year with the best cash back credit cards. But with the envelope budgeting system, you forego credit card rewards because you won’t be using your credit card as much or even at all. My husband and I used to have an envelope for clothing. But after about six months of never using any cash from that envelope, we decided it was wasteful to budget money to that category. Instead, we put more money towards household goods, and if we ever decide to buy new clothes, it can come out of that category. There is no need for an envelope category that you do not overspend in. A good friend of mine made this suggestion. She recommends it because instead of having seven different envelopes to keep track of, she only has one. Her accordion folder is envelope size, so it is perfect for keeping cash. It is also more durable than paper envelopes. If you have budgeted $100 for eating out this month and go to a work lunch, don’t bring all $100. Instead, just take what you need from the envelope at home and put it in your wallet for the day. This is especially helpful when you have multiple people using the same main envelopes. There are several different ways you can set up your budget: by week, by month, by quarter, and by paycheck. I recommend doing it by paycheck because you can accurately plan your budget according to the timing of your paycheck and bills. It may take a while to get everything set up correctly. You may go through a dozen pay periods before you get your budgeting amounts and categories just right. Definitely make adjustments. Nothing is set in stone until you decide you are comfortable with the program. By reducing your bills, you significantly increase your discretionary income. Consider strategies like finding a cheaper cell phone plan or getting rid of cable TV. Reducing your bills provides more cash for your envelopes. 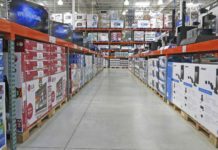 One issue my husband and I debated was whether or not to borrow from other categories if we ran out of cash in one of them. This is up to each person or family who uses the system. However, I recommend determining the ground rules before starting to avoid possible confusion. Through trial and error, we eventually decided to combine categories that we commonly borrowed from. Remember, it’s fine to adjust as necessary. If you do have extra money at the end of your budgeting cycle, use it to pay off debt. If you are debt free, I recommend either investing that money or saving it. I save extra money for the purchase of a van since it is an upcoming expense that we want to pay cash for. It takes time to get disciplined, and it will take time to get the correct amounts budgeted for your envelopes. Have some patience because if you do, the envelope budgeting system will not fail you. In the electronic era in which we live, it might seem archaic to carry around paper envelopes of cash. However, don’t think of it as being behind the times. What’s most important is that it works. As long as you stick to the rules and put away the plastic, it will work. After all, if you are out of cash and don’t use plastic, you can’t overspend. If you do want to utilize more technology, check out Mvelopes, an award-winning online spending management tool that’s based on the traditional envelope method of budgeting. Have you ever used the envelope budgeting system? How did it work for you?